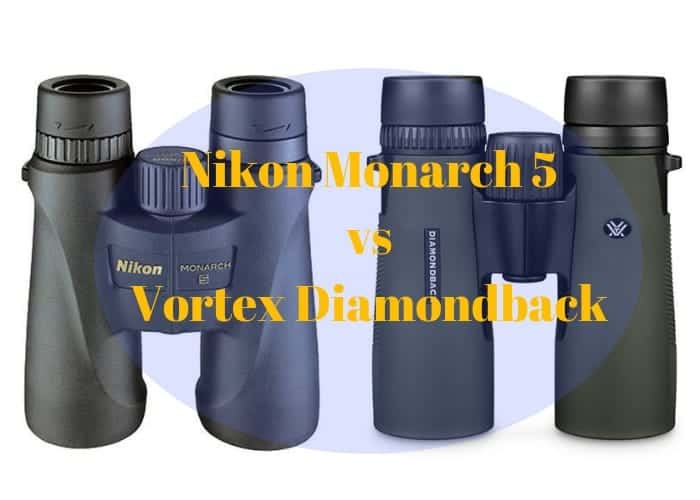 The Nikon Monarch 5 vs Vortex Diamondback Binoculars, which is better?. I guess this is properly the question that landed you here. Well, majority of people are also seeking to know what is the difference and similarities between these two binoculars brands. This why I did intensive research and gathered users experiences and feedbacks to help you compare the two. In my recent article, the Vortex Diamondback and Vortex Viper HD Binoculars were compared. 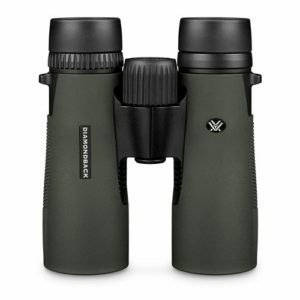 you can check it out to see how the Vortex Diamondback is doing against other binoculars as well. Nikon is a brand that has proven itself over the years when it comes to lenses and optics. There’s no doubt that they also make some kickass binoculars. The company was incorporated in 1917 in Japan when three leading optical manufacturers merged to form comprehensive, fully integrated optical company known as Nippon. Vortex, on the other hand, was established not long ago in America to produce binoculars and other optical instruments for the middle class of America and the rest of the world. For the past years, they have done well in carving a name for themselves. So, it is not surprising that you seek to know how the Nikon Monarch 5 series differs or compares with the Vortex Diamondback HD binoculars. Before I get to their performances, let’s look at their specifications in a tabular form below. 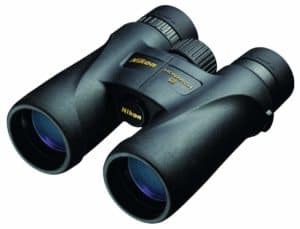 These two binoculars don’t really have big major differences unlike if you were to compare the Nikon Monarch 7 with the Vortex Diamondback HD, I would say for superior optics, you should go for the Nikon Monarch 7. If you are big on the field of view, between the Diamondback HD and the Nikon Monarch 5, the Diamondback is having a wider field of view compared to the Monarch 5. The FOV for the Diamondback 8×42 model is 131.2 m @ 1000 m while the Monarch 5 8×42 model is at 109.6 m @ 1000 m. You can see the Diamondback is 22.6m wider than the Monarch 5. The same goes for the 10×42 models. the Diamondback is having a wider FOV than the Monarch 5. If you compare the 8×42 and 10×42 models, in terms of using both under same low light conditions, the 8×42 models are better for low light conditions like dusk and dawns because of their larger exit pupils. But if you will be using them more in the daytime, then the 10×42 models are perfect. For those who enjoy using their binoculars to view butterflies, dragonflies and other small creatures at a close distance, the Diamondback has a better close distance focus than the Nikon Monarch 5. It means that you can see clearly at very close creatures with your Diamondback. In terms of the image clarity they give, they both are able to give decent images clarity. 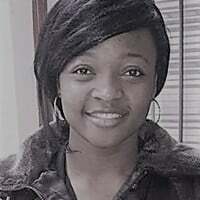 With the image been brighter in the middle and blurs toward the edges. If you are eyeglass wearer who might be concern about the eye relief, they are all having very good eye relief. Suitable for both glass wearers and non-glass wearers. Their optical performances are similar except the Nikon use Extra-Low Dispersion glasses. 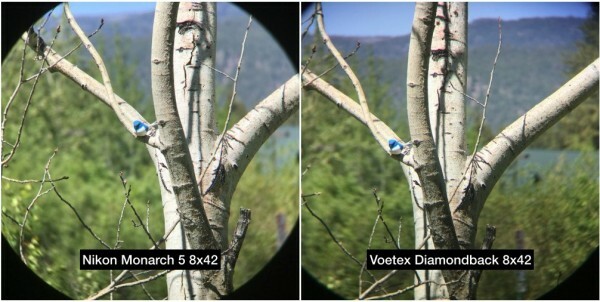 They give a slightly brighter and sharper image than the Diamondbacks as seen in the image below where the Nikon Monarch 5 image is compared with the Vortex Diamondback image. With regards to their prices, although they are all within $200 fallen right under $300, the Nikon Monarch is slightly expensive than the Diamondback. The Diamondbacks were around $260 and the Monarch 5s around $220 at the time of doing this comparison. These are decent binoculars for the price. They are both budget-friendly, affordable and good value for the money. Even though weight isn’t a major factor of consideration when it comes to choosing binoculars, some people might still want to consider it. You will notice that the weight of the Nikon Monarch 5 8×42 model is 590.0 g while the Vortex Diamondback HD 8×42 model is weighing 618 g. Making the Diamondback 28g heavier than the Monarch 5. However, the 10×42 models are not having that much differences in terms of weight. the Diamondback just weighs 6.7g heavier compared to the Monarch 5. 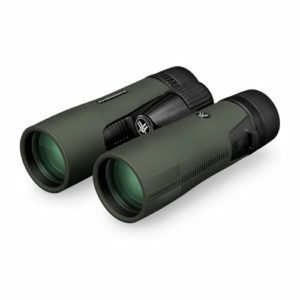 Although both binoculars are lightweight, the Monarch 5s models are lighter in weights compared to the Diamondbacks. 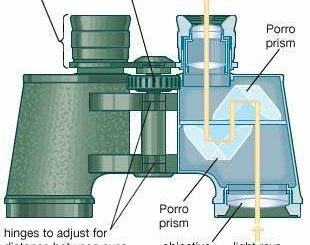 No matter how quality the optics of the binoculars are, but if they don’t have a solid exterior to protect them from damages, they won’t last. It is worth mentioning that all vortex binoculars come with lifetime warranties. So the Diamondbacks are having a lifetime warranty, unlike the Nikon which have limited warranty. I think the Nikon’s are 25 years. The Vortex Diamondback HD binoculars are lightweight, sleek, have short hinge design and have a durable aluminum body with rubber armor and thumb indents which leave more room for your hands creating an easier, secure and non-slip grip. As with the other binoculars in the Monarch series, the chassis for the Monarch 5 is polycarbonate reinforced with fiberglass. It’s a construction technique that provides sturdiness with lightweight. Polycarbonate is quite strong and reinforcing it with fiberglass enhances that durability and making it comfortable to carry around. It also has a good balance which allows you to carry them around for long periods without getting tired. These binoculars are actually pretty closely matched with the performance edge. The Vortex Binoculars are the better price, they have a wider field of view, better close focus distance and have a lifetime warranty, but it’s hard to go wrong with either!. The Nikon Monarch 5 offers brighter and sharper images compared to the Diamondbacks. This because they used Extra-Low Dispersion glasses which is absent in the Diamondbacks. Making them just a little bit better than the competition. If I am to choose from the Nikon Monarch series binoculars with a little higher budget, I would rather go for the Monarch 7s binoculars. Which offers superior optical performance compared to the Monarch 5s.